Nithra Edu Solutions India Pvt. Ltd.
Nithra may collect personal information that identifies you in a variety of ways, including, but not limited to the information submitted during download and installation of the App or in connection with registration for other activities or features offered through the App or website. Personally identifiable Information collected may include name, mailing address, email address, phone number and demographic information such as gender, nationality, postcode and other personal information. Nithra collect Personally Identifiable Information only if you voluntarily submit such information to us or provide access to such information by connecting to social networking sites through the App or website for example when you use the facilities available on the App or engage in certain App related activities including but not limited to becoming a member or signing up for an account or linking an account through a social network including, but not limited to Facebook, Twitter, Google Plus, and LinkedIn or when corresponding with us by e-mail or phone to use any other interactive features of the App or website. You can always refuse to supply personally identifiable information, except that it may prevent You from using the App or website, or certain features of the App or website. Nithra may collect non-personal information about you whenever you access or interact with our App or any of the related services. This includes but not limited to browser name, version, server location, device specific information such as the type of device used, users’ operating system and version, your mobile devices unique device ID, third party apps or websites or App or website service that referred users to our App or website, language preference, means of connection to our App and services location information, internet service providers, IP address, technical information and other similar information about you. 2. HOW NITHRA USES THE COLLECTED INFORMATION? Nithra may use this information to control your access to the App or website as well as use of the App or website, to communicate with the you, customize your experience of using the App or website and and/or the content of any email newsletter or other material that Nithra may send from time to time and provide information that may be useful or interesting based on the content and personally identifiable information relating to you. Your email address will be used to send user information, administrative information, changes in account settings and any changes to the App or website or updating User on new policies of Nithra. Apart from this if you choose to opt-in to our mailing list, you will receive periodic emails that may relate to company news, related product or service information, etc. Email address may also be used for responding to any of the inquiries, questions, and/or any other requests made by You. If at any time You want to unsubscribe from receiving future emails, Nithra has included detailed unsubscribe instructions at the bottom of each email or you may contact Nithra via the App or website. Nithra may further use the collected information to analyse the use of the App or website, and the people visiting and using the App or website, for the purpose of improving the features of the App or website. Information provided by you help Nithra in responding to Your customer service requests and support needs more efficiently. Nithra may use information in the aggregate to understand how users, as a group are using the App or website. Nithra may use the personal information provided by the User to prevent or take action against activities that are, or may be, in breach of the "Nithra User Agreement", "Terms and Conditions" and any applicable laws. •	3.1. 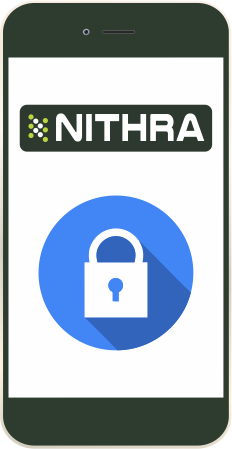 Nithra adopts appropriate data collection, storage and processing practices and security measures to protect against unauthorized access, alteration, disclosure or destruction of Your personal information, username, password, and data stored on the App. Sensitive and private data exchange between the Application and its users happens over a SSL (Secure Socket Layer) secured communication channel. However, Nithra cannot guarantee the security of any information obtained through unauthorized entry or use, hardware or software failure, and other factors that may compromise the security of user information at any time. It is important for the User to prevent unauthorized access to his/her account and personal information by limiting access to his/her device. •	4.1. Nithra does not sell, trade, or rent Your personally identifiable information collected by Nithra. •	4.2. At times Nithra may be required by law or litigation to disclose personal information about the users. Nithra may also disclose information about the user if Nithra determines that for national security, law enforcement, or other issues of public importance that disclosure of information is necessary. •	5.1. Whenever you access the App or website we may place "cookies" on your hard drive for record-keeping purposes to enhance your experience or sometimes to personalize your experience. Cookies are small text files that are placed on your computer’s or mobile’s hard drive by the App you visit. Cookies help us to identify information relating your activities and to retain information relating to your preferences and history on the App. •	5.2. Ad targeting cookies: Nithra and/or our service providers may use advertising cookies to deliver ads that are more relevant to you and your interests. •	5.3. You may choose to disable cookies by turning off cookie feature on the web browser. However, by disabling this feature, some parts of the App may not function properly. This may prevent You from taking full advantage of the App. •	6.1. In case, if the user is receiving marketing or promotional emails from Nithra, You have the option to "opt out" of such marketing emails by following the instructions in those mails or by emailing Nithra at feedback@nithra.mobi. If the user opts out, he/she may still receive non-promotional emails from Nithra, such as emails about his/her account or any ongoing business relations entered into by Nithra. This Document was last updated on 8th November 2018.